There are a couple of items that are a must have in my kit. First up is a 12’x12′ sheet of a clear heave mil plastic. 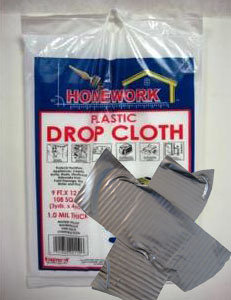 Think drop cloth plastic. This can be used as shelter and to collect water. The second item is a roll of duct tape. Try as you may, you cannot exhaust duct tape uses. This entry was posted in Country, Emergency, God, Louisiana, Military, Nature, Patriotism, Survival, Survivalist and tagged Country, Emergency Survival, Louisiana, Nature, Survival, Survivalist. Bookmark the permalink. I love duct tape! Have you used Gorilla tape before, I’m curious how it stands up to the silver classic. I have never tried Gorilla tape. In two weeks time I am headed into the field for a few days. Looks like a field test coming on. Updates to follow.